As a proud patron of Weston Park Hospital Cancer Charity Alfie Moore was delighted to interview Sir Vince Cable, the next potential leader of the Liberal Democrat party, at an evening for business leaders in Sheffield this week. 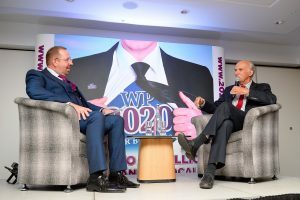 Sir Vince, who’s wife sadly died due to cancer, generously took time out from his leadership campaign to help promote the Weston Park Cancer Charity’s 2020 For Business Appeal. WP2020 aims to get 200 business across the Sheffield City region to each donate £5000 towards a £1 million goal. The monies will be used to provide additional services to help improve the lives of local cancer patients. We’re delighted that Gerry Northam, veteran BBC radio presenter and investigative journalist, has included IT’S A FAIR COP in his pick of the best of this week’s BBC Radio. 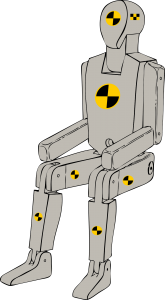 The episode selected was ‘Collision Decision’, the last in the current series, in which Alfie invited the audience to participate in another real-life crime from his police case book which involved the most broken law in Britain – The Road Traffic Act 1988. This incident tested Alfie’s impartiality, fairness and powers of discretion to the limit……. Turns out the audience of police-officers-for-the-day had very different, and often hilarious, views on the actions that they would have taken. 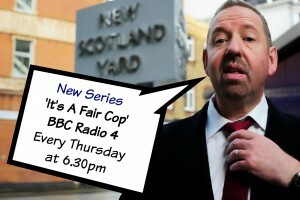 The episodes of this series of IT’S A FAIR COP will be available on the BBC iPlayer for the next few weeks. Veteran BBC presenter John Waite has selected Alfie Moore’s comedy IT’S A FAIR COP for inclusion in his choice of BBC Radio highlights of the week. ‘Pick of the Week’ will air at 6.30pm on Sunday 11th June and will then be available to listen again on the BBC iPlayer. The IT’S A FAIR COP episode included is ‘Punching Judy’ – where Alfie shared another real-life policing dilemma from his case book in which he himself became the victim of assault. As the case unfolded, the audience, who had been ‘sworn in as cops’ for the duration of the show, were challenged to say what they would have done – with often hilarious results. The next episode of IT’S A FAIR COP, Cedric the Gnome, will be back on Wednesday 14th June at 11.30am. This, and all the episodes in the current series, will then be available to listen again on the BBC iPlayer. 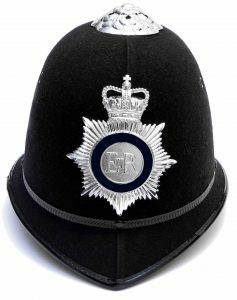 BBC Radio 4 ‘It’s a Fair Cop’ is back on the beat! 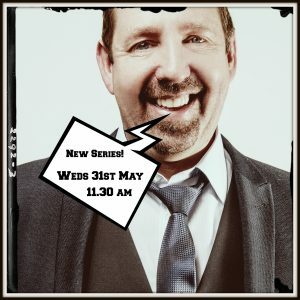 The new series of the hit comedy show It’s a Fair Cop returns to BBC Radio 4 on Wednesday 31st May in its new time slot of 11.30am. The first episode kicks off with Barry the Burglar – which will surely resonant with all those who believe that an Englishman’s (and Woman’s!) home is their castle. 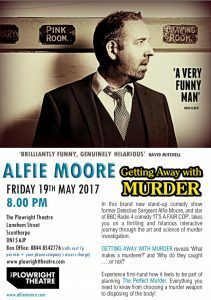 Once again former Detective Sergeant Alfie Moore swears the studio audience in as cops for the duration of the show and, as he reveals one of his true-life cases, invites them to say what they’d have done – often with hilarious results. Using his trademark blend of humour and experience of the law Alfie provides fascinating insights into the dilemmas that police officers face every day – with plenty of laughs along the way. In addition to airing at 11.30 am on Wednesday mornings throughout June It’s a Fair Cop will also be available on the BBC iPlayer to listen to at any time. Pour yourself a cup of coffee, put your feet up (unless you’re driving of course – because that would be illegal!) and prepare to be thoroughly entertained. 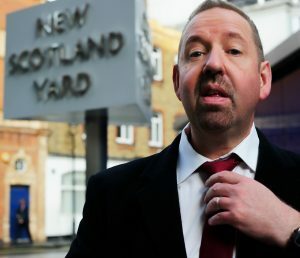 BBC Radio 4 have commissioned a third series of the police comedy ‘It’s a Fair Cop’ – the show that sees veteran cop and comedian Alfie Moore swear in a live audience as police officers for the night before challenging them with the dilemmas of a real-life case scenario. 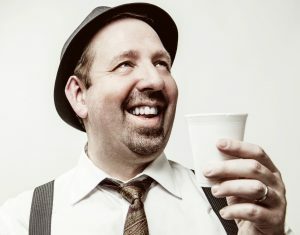 The last series, written and presented by Alfie, tackled challenging subjects such as harassment, excessive use of force and racism with his trademark blend of comedy, layman explanations about the law and very funny anecdotes from his own policing experience. The show highlights the sometimes ridiculous complexities of policing and the wonderful eccentricities of the Great British Public – with the Radio 4 audience the real stars of the show. The new series will have four episodes and is due to air in spring 2017. 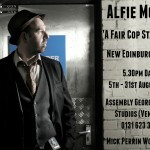 Alfie was delighted that an episode of IT’S A FAIR COP was selected to be BBC Radio 4 Comedy of the Week. The show broadcasts live at 6.30pm on Thursday evenings until 23rd July 2015. Police officer-turned-comedian Alfie invites his audience to make the policing decisions as he takes them through a real life crime scenario. In this episode he asks the audience whether they think ALL crime should be reported and investigated. The results are surprising and entertaining. The Comedy of the Week is available to download as a podcast until 11th June 2015. Other episodes of the current series of ITS A FAIR COP can be heard live at 6.30pm on Thursdays and are available to listen again on the iPlayer. Alfie Moore’s Radio 4 comedy IT’S A FAIR COP has been selected to feature in this week’s Pick of the Week, presented by Liz Barclay – who chooses her BBC radio highlights. The show will air on Sunday 28th June at 6.15 pm. IT’S A FAIR COP invites the studio audience, who are sworn in as ‘police officers for the night’ to consider what their actions would be when dealing with dilemmas that police officers face on the street every day. A different scenario unfolds every week and the topic of the episode featuring on Pick of the Week is called ‘Reasonable Force’ – how far would you ‘reasonably’ go to protect your home, your property and loved ones. Revealing and hilarious! Available on BBC iPlayer.